A complete edtech platform is equally powerful when it comes to student and teacher motivation. Badges, real prize incentives, contests, games, and much more are integrated into the single MobyMax system. It’s no secret that digital solutions are growing and that print companies are struggling. Educators are embracing solutions that are more effective, make their lives easier, and get their students more engaged in learning. 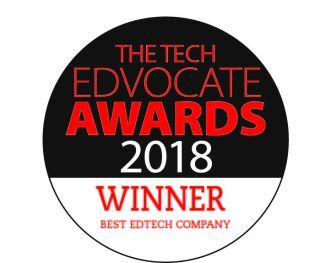 As the winner of the 2018 Tech Edvocate Award for Best Global EdTech Company, MobyMax is leading the way in creating the most effective, complete edtech platform in the world. MobyMax was also the winner of the Best Assessment Tool or App award and a finalist in seven additional categories: Best Early Childhood Education App or Tool, Best Math App or Tool, Best Personalized/Adaptive Learning App or Tool, Best Blended/Flipped Learning App or Tool, Best Literacy App or Tool, Best STEM/STEAM Education App or Tool, and Best Classroom/Behavior Management App or Tool.